Tossing and turning night after night, then waking up exhausted and feeling miserable is an all too common complaint that I hear from clients. The sad reality is that sleep disturbance is one of the major problems facing people today. According to government studies, “Sleep loss and sleep disorders are among the most common yet frequently overlooked and readily treatable health problems. It is estimated that 50 to 70 million Americans chronically suffer from a disorder of sleep and wakefulness, hindering daily functioning and adversely affecting health and longevity (NHLBI, 2003)”. It impacts every aspect of our lives (health, relationships, and work) and creates a negative behavior loop that results in more anxiety, stress, sleeplessness and weight gain. So, if you are one of those who suffers, YOU are not alone! And while misery loves company, you want answers and more importantly, you want to sleep now. To better understand the contributing causes, it is helpful to understand how our bodies function and how this impacts sleep. The human body and our subconscious minds are wired to protect us. One of the primary ways this happens is through the release of cortisol. Cortisol is a powerful hormone that is triggered during the fight/flight/freeze reaction. When faced with imminent danger the adrenaline rush that we experience is triggered by cortisol. Our bodies are in a heightened state of readiness to respond. This state of excitement interferes with sleep. Once we become aware of some of the causes, we can learn how to deal with those factors most likely to disturb your sleep. The most obvious food sourced chemical that impacts the quality of our sleep is caffeine. This is not a newsflash. This psychoactive chemical is present in more foods and beverages than many people are aware of. We are aware of the obvious sources like coffees, teas and chocolates. Caffeine however, is also present in non-cola soft drinks like Mountain Dew® and Sunkist® Orange Soda. Lesser known hidden sources of caffeine include protein and energy bars, ice creams and frozen yogurt, certain vitamin waters and over-the counter pain meds such as Excedrin® Migraine. (Lodato, et al., 2013). Another contributing factor to sleeplessness or sleep disturbance is our connection to our smart devices (phones, tablets, and computers). They keep us connected and stimulated, and this is not necessarily a good thing. The tendency among many of those who come to see me for sleep issues, is their constant contact to jobs and clients. In a society where people demand immediate responses, we have no ability to decompress and step away from the stressors of work. It is common to see couples out to dinner constantly checking their smart phones to insure they haven’t missed a text or email message. Further, people attempt to multi-task, even while engaged in social events, in an effort to be “more efficient.” Since the brain is not wired to multi-task, we create additional problems for ourselves including making more mistakes which increase anxiety levels, as well as interpersonal relationship problems by becoming more socially disengaged. Our devices create issues that are even more problematic. Smart devices keep us highly stimulated. The brain cannot differentiate between threats and stimulating gaming. Engaging in long periods of video gaming or viewing sports programming everywhere we go, also increases cortisol levels and keeps us in heightened states of physical and mental excitement. Clients have reported that they are on their phones right up until they go to sleep. This type of behavior is often a prime source of their sleeplessness. Sleeplessness can also be caused by or compounded by medical treatments or conditions. Among the most frequent of these are diabetes, heart disease, chemo and immuno-therapies, reflux disease and Parkinson’s. Ignorance of the causes is costing us billions of dollars in medical costs and lost productivity. But the impact is also much more serious. Sleeplessness is responsible for more than 40,000 motor vehicle accidents and more than 1500 motor vehicle deaths annually. One of the proximal causes of these accidents are the residual effects of sleep medications that people receive from their physicians. Commonly prescribed drugs such as benzodiazepines and antidepressants or antipsychotics often come with serious side effects, including dependency and abuse. The sad fact is that these should be the last resort of medical professionals and not the first. Longer term results come with empowering people to learn healthy, drug-free ways of relieving stress and breaking the sleeplessness cycle. One of the most effective, and the safest method of breaking the negative loop of sleeplessness and the anxiety of not being able to sleep is hypnosis and mindfulness meditation. Hypnosis, unlike prescription medications, does not have any of the dangerous side-effects of addiction or abuse. Even more important, is the ability of hypnosis and mindfulness to improve feelings of general well-being, peace and calm. As with many other presenting complaints, clients seeking to deal with sleep deprivation or insomnia, find that hypnosis empowers them to take back control of their lives. It is this empowerment, along with the immediately recognizable phenomena of relaxation and calm, that creates a new, positive resource state that the client can use in all aspects of their lives. The use of hypnosis as a means of resolving a host of issues, including sleep disturbances, dates back more than 4000 years to the Egyptians. There are many documented instances of the presence of sleep chambers or sleep temples that utilized trance states to heal and improve various conditions. The process of guiding people into a hypnotic trance state is fast. The hypnotist can generally accomplish this in a matter of a few minutes. During the session, the hypnotist works with the client at the subconscious level to resolve behaviors that are causing stress or other behaviors that are interfering with the sleep process. Additionally, the hypnotist can install tools or anchors that help the client to relax quickly and once again experience satisfying sleep. Additionally, the hypnotist will teach the client how to achieve the same relaxful state through the process of self-hypnosis. Success builds on success and once again the client can return to a more productive life being more restful and present. As more people feel the impact of increased levels of stress resulting from demands at work, little or no intimacy in relationships, or a general sense of unease because of world political situations, it is reasonable to expect a further uptick in those seeking help getting to sleep. Hypnosis and mindfulness meditation give people the tools to untether from their computers, tablets and smart-phones, leaving them with the ability to shutoff from the constant bombardment of information and stimulation. They report improved intimacy with others and lower levels of stress and most importantly greater satisfaction in all aspects of their lives. The process of hypnosis and mindfulness meditation teach the individual how to take back control of their lives and begin to enjoy life by being present, perhaps for the first time. One of the most effective tools that I have developed to assist those with difficulty sleeping is a special audio program. The program is specially designed to be highly effective in reducing the stressors and other distractions that cause sleeplessness and induce a refreshing sleep. The audio program, “Sleep and Dream for a Happier You” is available for immediate download at: https://goo.gl/o5nghd . 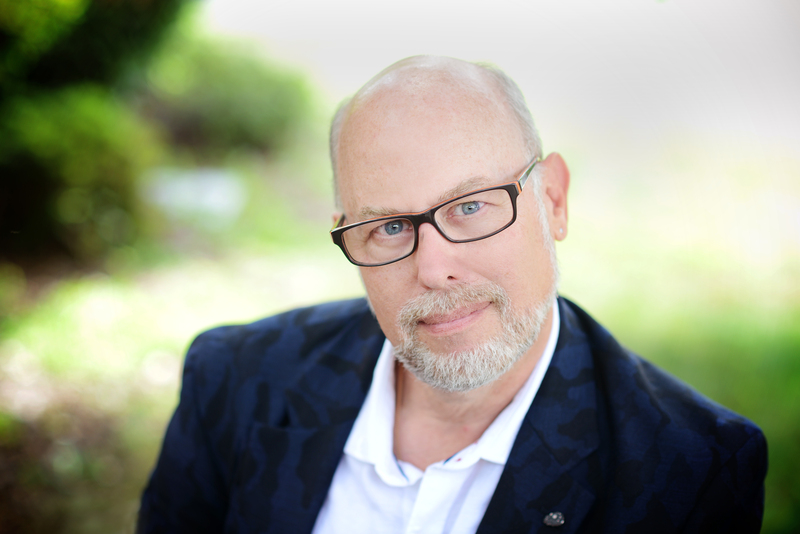 Marc is an award winning, certified stage and clinical hypnotist, author and motivational speaker with experience entertaining both large and small gatherings. Marc uses his skills and talents in a variety of areas that include self-improvement or clinical hypnosis, motivational speaking, and comedy stage hypnosis. He has worked with individuals and corporations throughout the United States to improve outcomes in personal lives and organizations. As a clinical hypnotist, he has helped people resolve sleep issues, lose weight, stop smoking, deal with long held fears, deal with stress and anxiety, manage pain, improve sports performance, eliminate addictions, and improve sexual function. His performance resume includes appearances on live shows for Refinery29 Live and Elite Daily’s TrashED. He has performed at comedy clubs, the Monroe County Fair (MI), the Osceola County Fair (Kissimmee, FL), the Red River Valley Fair (Fargo, ND), and for schools, proms, graduations, conferences, conventions and corporations. He was a featured performer for New Jersey’s premier First Night Celebration – First Night Morris for New Year’s Eve 2018. Marc’s book, “Staying in the Moment – Helping Students Achieve More Through Mindfulness Meditation” helps educators, parents and students get better results in the classroom through the adoption of mindfulness exercises as part of the curriculum. For more information about, or to book an appointment with Marc visit his website: www.hypnomarc.com or email info@hypnomarc.com.